JPGroove is having another sample sale via their website. What is a sample sale? 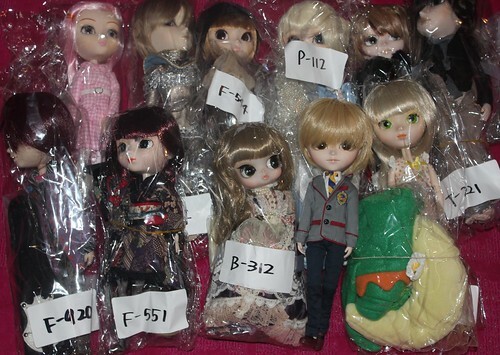 A sample sale features dolls that were previously displayed at events such as Doll Party, Doll Carnival or even at SDCC because they are display dolls they do not come with their boxes/stands and cards, they may also be missing accessories (they try to note if something is missing but sometimes they miss things). It should be noted that there are absolutely no returns, refunds of exchanges on dolls from the sample sale; I would not buy from this sale if you want or expect an absolutely mint NRFB doll. 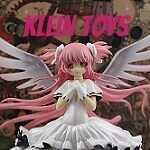 This is a definitely a great chance to add a doll to your collection for a great price! I definitely took advantage of the sale to add Isul Fairy Lumiere, Isul Tete, Pullip Rche, Pullip Yuri and Pullip Noir to my collection. 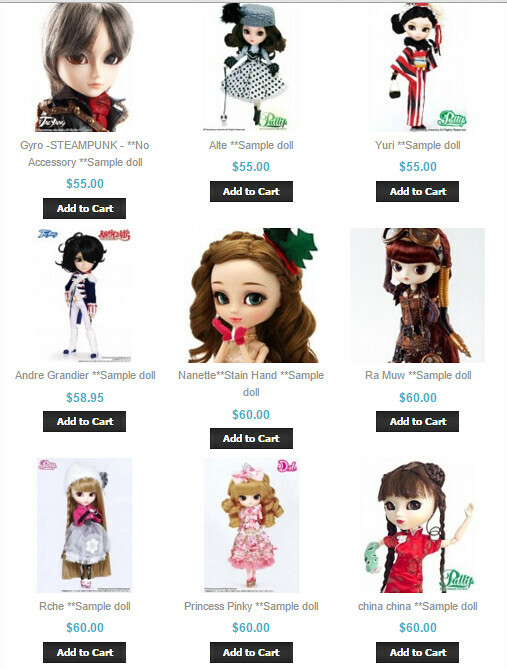 There are still lots of great dolls available at great prices including Taeyang Andre Grandier, Pullip Nanette plus classic dolls like Pullip China China even a few Namus as of this writing, there are nearly sixty dolls listed. It’s very exciting to watch the website and see which dolls will be listed next! You can check out the whole selection here. This past summer maybe around late July JPGroove had a sample sale, I may have bought some dolls from the sample sale as well. I’m including a picture so you see how the dolls come packaged, the dolls come bagged and there is tons of packaging paper to cushion the dolls on their journey I had already yanked Isul Cedric out of the bag in my excitement. Couple of other things of note about JPGroove, they offer free shipping within the US on orders totaling over $175 (total does not include shipping). The sample doll listings are deleted after dolls sell so if I have mentioned a doll and they can’t be found it means that they have sold out in the meantime ^^; . I’m not getting anything by posting this I just love to connect people with the dolls they want. This entry was posted in byul, Dal, isul, Pullip, taeyang and tagged byul, Dal, isul, jpgroove, namu, noir, Pullip, taeyang. Bookmark the permalink.